How to Clean your Precious Metal Jewelry at Home? 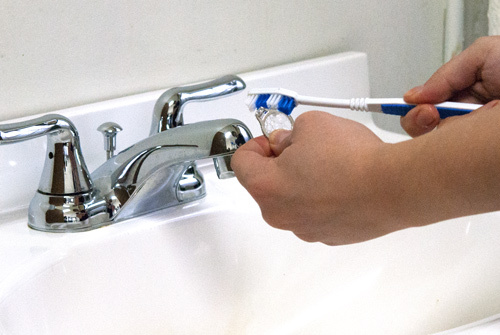 You need only everyday household items for this cleaning. Little bit of dish soap, a clean bowl, a toothbrush, a piece of paper towel, and a simple stir stick. Fill the bowl with clean water. 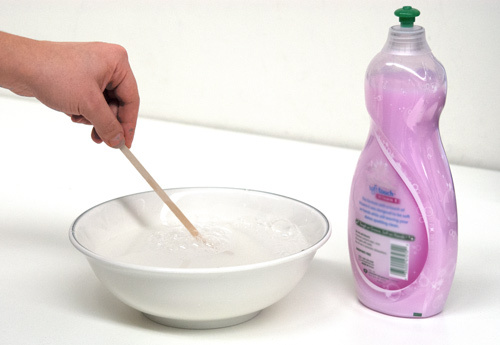 Pour a little bit of dish soap (NOT dishwasher detergent) in the water and mix with stir stick. Place your jewelry piece in the bowl filled with water and dish soap mixture. Let it rest there 15-20 minutes before taking it out of the water. After taking the jewelry piece out, gently brush it with a soft-bristle toothbrush. Make sure you get into small crevices and between side stones. You don’t need to apply pressure. Hold your jewelry piece firmly and rinse it under warm running water thoroughly. 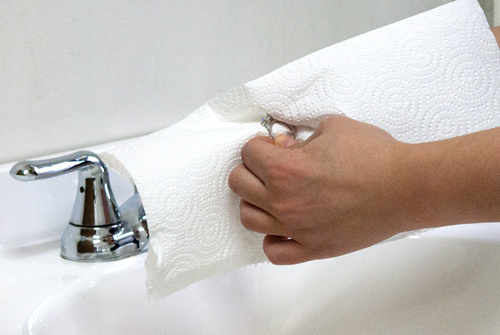 With a piece of paper towel or soft cloth, wipe the jewelry piece dry. Your treasured piece of jewelry is shiny and clean again! Remember: If you’d like to get it cleaned with ultrasonic cleaner, 25karats.com offers this service free to it’s valuable customers for the life-time of the jewelry!